Nova Scotia's child welfare workers are "drowning under their caseloads" and children are being left at risk, the province's College of Social Workers says. 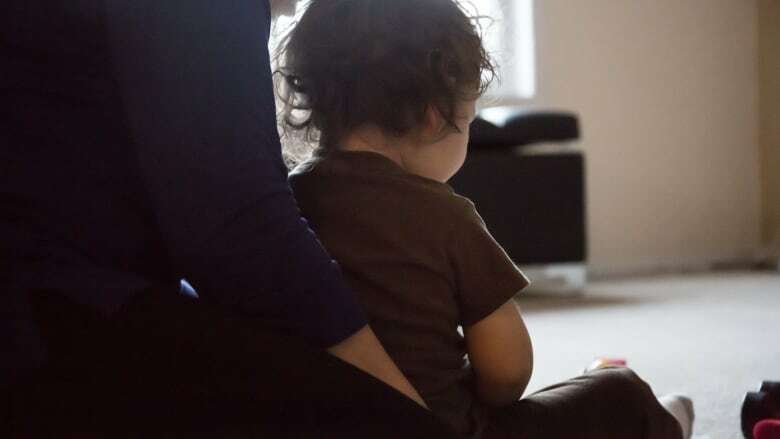 Nova Scotia's child-welfare workers are "drowning under their caseloads" and children are being left at risk, the province's College of Social Workers says. "Social workers are running from crisis to crisis doing their utmost to hold this system together, but they are burning out and this is putting vulnerable children and youth at risk," said Alec Stratford, the executive director of the college. The college and Nova Scotia's largest public sector union are calling on the Liberal government to increase funding for child welfare and other social programs in the upcoming spring budget. They are collaborating on a campaign that highlights what they say is a child-welfare system in "desperate need of support." The public is being asked to visit www.childwelfareonthebrink.org and to send letters to Premier Stephen McNeil to voice concerns. Stratford said Monday that child-welfare social workers in particular are hampered by a lack of administrative support and community resources for their clients. He said the stress on child welfare also has spillover effects to areas such as foster care, education and mental health. Stratford said the lack of funding is a national problem. He pointed to a recent Organization for Economic Co-operation and Development (OECD) study that looked at social expenditures across member countries. It showed that Canada falls below the OECD average, investing 17.2 per cent of its GDP on public social spending compared to the OECD average of 21 per cent. In the 1990s, Canada was at 20.4 per cent. "This isn't just about child welfare, this is about the broad social services that support social welfare such as income assistance, mental health and addiction and housing. All of those services need many more resources to be able to deal with the complexity of needs that families are facing." The college represents more than 1,900 social workers, while the NSGEU represents approximately 460 social workers in the Department of Community Services. Stratford said there has been an increase in overall referrals to the department. "What we need to see is that social workers are put in place to manage the demands," he said. "What that exact number is requires further [departmental] analysis." Jackie Barkley, a private therapist and social worker, was one of 18 private practitioners who signed a letter a year ago calling for change in the system. Barkley said child-protection workers often deal with complex cases that leave them unable to predict the course of their work from day to day as they struggle to balance off paperwork, to meet court deadlines, and even to answer phone calls. "The practical effect is that they are constantly barely catching up to meet deadlines," she said. Nancy MacLellan, associate deputy minister of Community Services, said there is no question that child protection is among the "most challenging and difficult of difficult jobs." MacLellan said the department currently spends about $95 million on child, youth and family supports and has taken steps aimed at helping to alleviate the pressure on workers. "We have redeployed staff vacancies from other areas to the child-protection area and we constantly monitor caseload and workload," she said. "So we try be as flexible as we can with moving people around and making sure people have the supports they need as issues emerge." MacLellan wouldn't speculate on whether the government plans any additional help in the upcoming budget. Jason MacLean, president of the NSGEU, said the department has been scrambling to fill holes since some child-welfare offices were closed and layoffs occurred in 2015. "What they have been doing is shuffling people around, which they feel helps but they know is not fixing the problems that are there," said MacLean. "What we are saying is you need more social workers, you need to take the load off the people that are there now."